Ya Mas Barato? Solamente en Silva's. 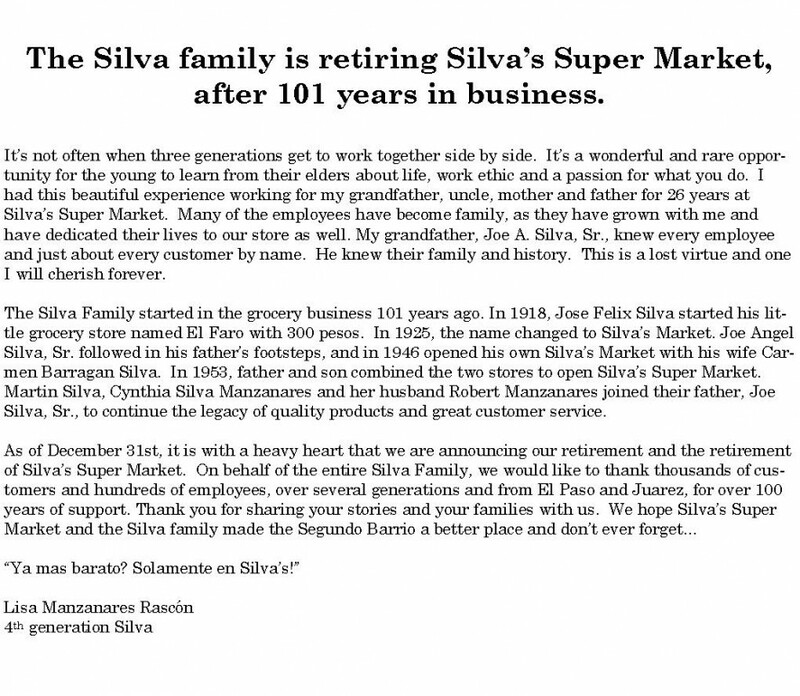 Silva's Super Market is a traditional, family owned, neighborhood grocery store servicing the modern customer. 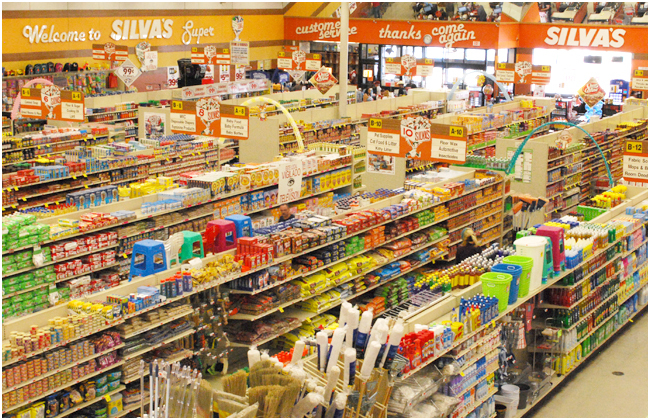 Our bright, friendly store is filled with everyday staples and specialty items at a great value. You'll find everything from fresh fruits and vegetables to a full service meat counter. In our spacious aisles, you'll find your favorite beer and wine, a budget friendly 99¢ section and thousands of products to meet your grocery needs. Our team members are here to help you make the right choices for you and your budget. Silva's offers a full service meat market with quality, product variety, traditional butcher's handiwork and outstanding value pricing.